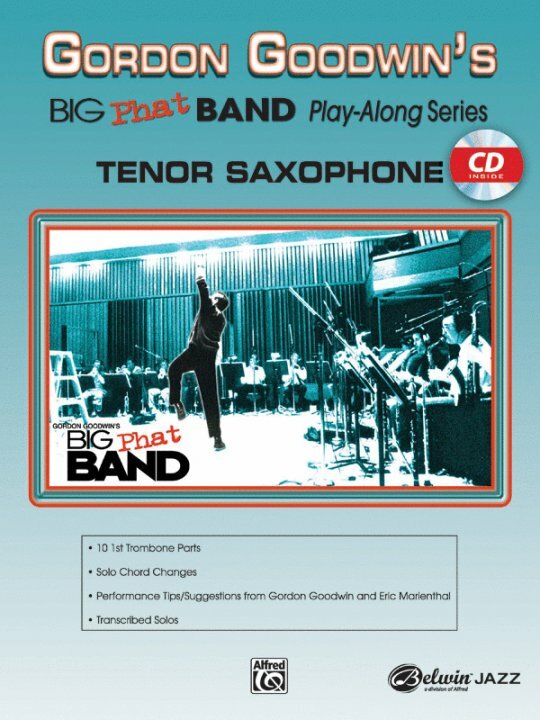 Gordon Goodwin's Big Phat Band Play-Alongs are the perfect opportunity to sit in with outstanding players from the Big Phat Band in order to measure and improve your ability. 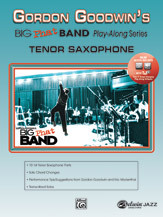 Learn volumes of information about style, phrasing, tone, dynamics, technique, articulation, playing in time, Latin grooves, and a variety of swing styles as you play along and listen to the players in the Phat Band. 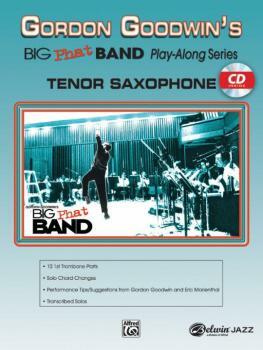 Performance tips and suggestions from the Big Phat Band's lead players and Gordon himself are included in each book. The Alto and Tenor Sax books include tips from Eric Marienthal, who can be heard on recordings with artists such as Chick Corea Electric Band and the Rippingtons. Since improvisation is important for saxes, chord changes for solo sections are included on the play-along CD, and selected transcriptions of the solos recorded by various band members are also included. Titles: Swingin' for the Fences * La Almeja Pequena * Hunting Wabbits * Whodunnit * Count Bubbas Revenge * Get in Line * Horn of Puente * The Jazz Police * High Maintenance * Cut 'n Run. This title is available in SmartMusic.